Using feature branches is not only more reliable than directly editing production code, but it also provides organizational benefits. They let you represent development work at the same granularity as the your agile backlog. Many source code management tools such as Github, Gitlab & Bitbucket enhance core Git functionality with pull requests. A pull request is a way to ask another developer to merge one of your branches into their repository. This not only makes it easier for project leads to keep track of changes, but also lets developers initiate discussions around their work before integrating it with the rest of the codebase. A Git Workflow is a recipe or recommendation for how to use Git to accomplish work in a consistent and productive manner. Git workflows encourage users to leverage Git effectively and consistently. Git offers a lot of flexibility in how users manage changes. Given Git’s focus on flexibility, there is no standardized process on how to interact with Git. When working with a team on a Git managed project, it’s important to make sure the team is all in agreement on how the flow of changes will be applied. To ensure the team is on the same page, an agreed upon Git workflow should be developed or selected. There are several publicized Git workflows that may be a good fit for your team. Here, we’ll be discussing some of these workflow options. However, using Git to power your development workflow presents a few advantages over SVN. First, it gives every developer their own local copy of the entire project. This isolated environment lets each developer work independently of all other changes to a project – they can add commits to their local repository and completely forget about upstream developments until it’s convenient for them. Developers start by cloning the central repository. In their own local copies of the project, they edit files and commit changes as they would with SVN; however, these new commits are stored locally – they’re completely isolated from the central repository. This lets developers defer synchronizing upstream until they’re at a convenient break point. To publish changes to the official project, developers “push” their local master branch to the central repository. This is the equivalent of svn commit, except that it adds all of the local commits that aren’t already in the central master branch. Be sure to use a valid SSH username for user, the domain or IP address of your server for host, and the location where you’d like to store your repo for /path/to/repo.git. Note that the .gitextension is conventionally appended to the repository name to indicate that it’s a bare repository. Central repositories are often created through 3rd party Git hosting services. The process of initializing a bare repository discussed above is handled for you by the hosting service. The hosting service will then provide an address for the central repository to access from your local repository. When you clone a repository, Git automatically adds a shortcut called origin that points back to the “parent” repository, under the assumption that you’ll want to interact with it further on down the road. Remember that origin is the remote connection to the central repository that Git created when John cloned it. The masterargument tells Git to try to make the origin’s master branch look like his local master branch. Since the central repository hasn’t been updated since John cloned it, this won’t result in any conflicts and the push will work as expected. 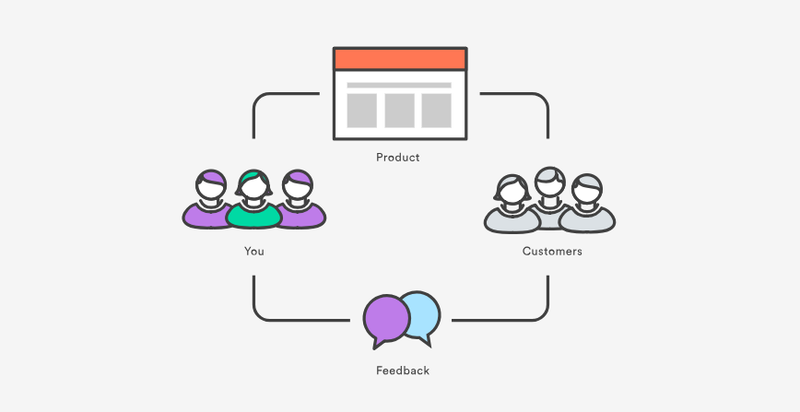 The Centralized Workflow is great for small teams. The conflict resolution process detailed above can form a bottleneck as your team scales in size. If your team is comfortable with the Centralized Workflow but wants to streamline its collaboration efforts, it’s definitely worth exploring the benefits of the Feature Branch Workflow. By dedicating an isolated branch to each feature, it’s possible to initiate in-depth discussions around new additions before integrating them into the official project.